Effectively protects your site from any data loss. Use flexible settings to automatically copy and store the whole database or particular files on Dropbox. Everybody knows how important to do regular backups. Doing backups you secure your store information and increase your sales. Regular backups is a guarantee that in a case of emergency you can quickly and with minimal losses get back to business. Dropbox module is the good solution for keeping your store information in safety. 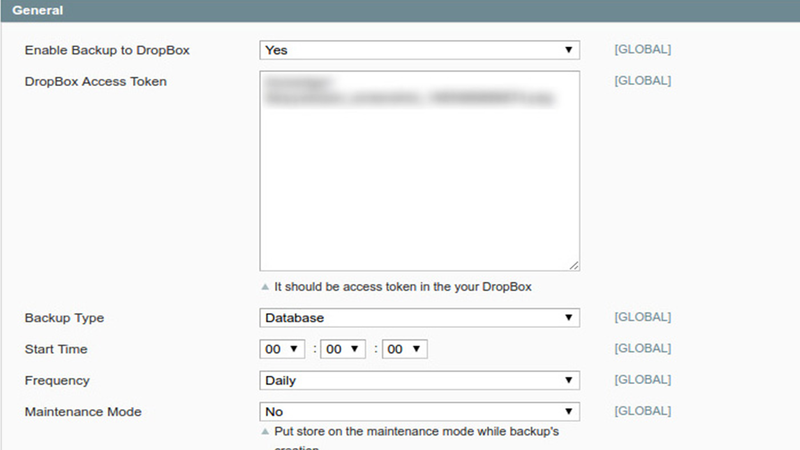 Dropbox module creates different types of backups and sends it automatically to your Dropbox account. 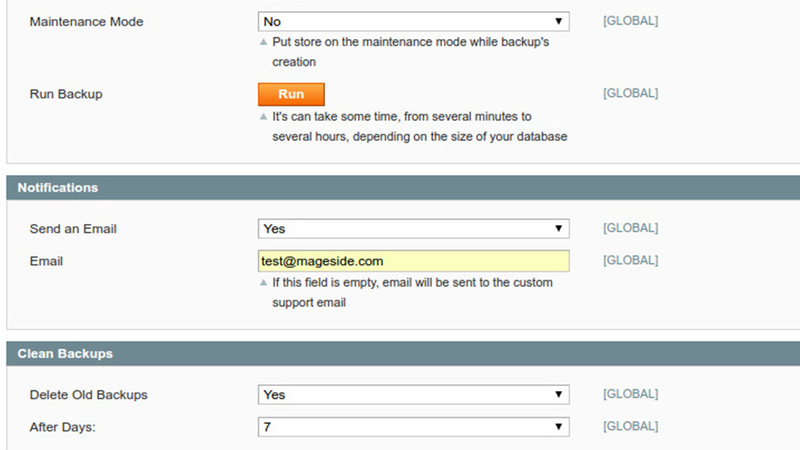 Also, you can make a schedule how often your backup will be created: daily, weekly, monthly. And the most useful thing of using Dropbox module is that you can decide at what time the program can start creating the backup. This can help you to protect your online store and restore the database. The pleasant thing is that Dropbox module will help you to keep your sales on the same level. You will be informed by e-mail about creating and sending “backups”, removing old “backups”. In the settings, you can set up to delete old backups after the expiration of several days or weeks. The number of days for deletion the old backups can be set up in the administration panel. 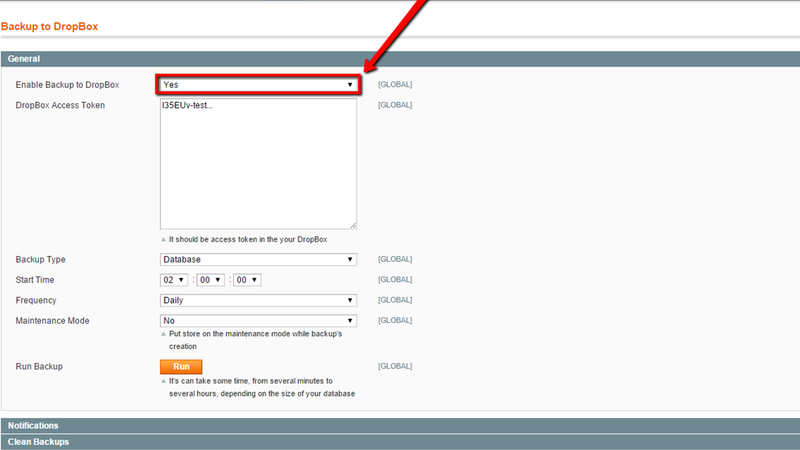 You can easily schedule the time when the automatic backups will be created. You can set up to do backups every day, week, month or just once. After you specify all necessary settings the extension will automatically start creating backups on specified day and time. You know how important it is to save your store information in safety. Nowadays almost all websites are exposed to hacker attacks. Bad protected database can cause additional bad circumstances for both customers and merchants. The customer might suffer from financial losses bacause of bad protected personal and payment information. And our Backup to Dropbox module can help you to avoid all these risks. Dropbox module is a good solution to keep the information of your store in safety. This module is very easy to use. No specific programming knowledge is required. Just install and see how easy it works. 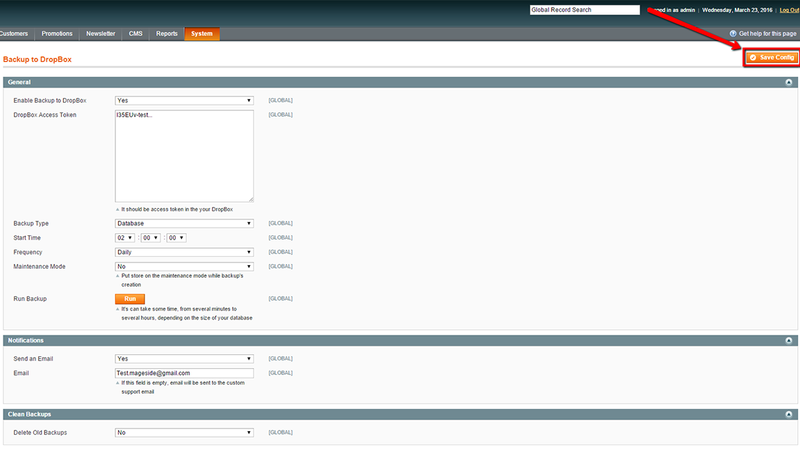 To create backups of your store information regularly, it is no need for an admin to seat and see the process. Everything will be done automatically. It very comfortable that old backup files can be deleted automatically after a particular time period. The Backup to Dropbox module allows you to receive e-mail notifications about every changes. 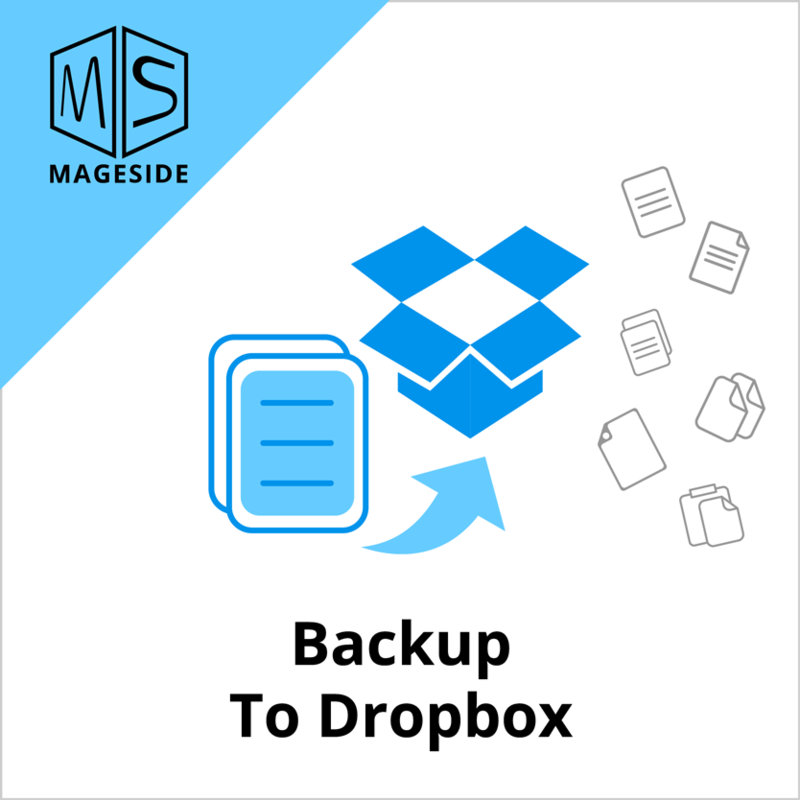 Save your time with Backup to Dropbox module and have no failure.